SIEF supported research is playing a vital role in the long term management, protection and preservation of Australia’s Great Barrier Reef. Working to protect and preserve Australia’s iconic Great Barrier Reef. To protect and preserve Australia’s iconic Great Barrier Reef and provide ongoing complex scientific information and understanding regarding the reef; in turn enabling the development of practices, thresholds and guidelines that will ultimately maximise protection of the Great Barrier Reef whilst enabling sustainable, economic and societal uses. The eReefs project is the first step in building comprehensive coastal information systems for Australia. Using the latest technologies to collate and store data, along with new and ntegrated scientific modelling, eReefs will produce powerful visualisation, communication and reporting tools. It will provide information akin to that provided by the Bureau of Meteorology for weather, but specifically tailored to the Great Barrier Reef. This information will benefit government agencies, Reef managers, policy makers, researchers, industry and local communities. 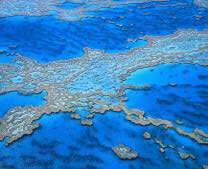 In order to mitigate the risks associated with multiple and sometimes competing uses of the Great Barrier Reef, eReefs brings together Australia’s leading operational and research agencies in the Australian Government Bureau of Meteorology, CSIRO and the Australian Institute of Marine Science; the Australian and Queensland Governments; the Great Barrier Reef Marine Park Authority; SIEF as well as corporate Australia through The Great Barrier Reef Foundation and its partners. The building of an ongoing comprehensive coastal information system for all of Australia, enabling improved environmental decision-making. Great Barrier Reef management and other associated agencies using eReefs ongoing data for planning and reporting on the environmental state of the reef and surrounding areas. Increasing Australia’s long-term knowledge of coastal trends and marine ecosystems, and the effects of environmental trends on the Reef and surrounding marine ecosystem. Provide vital tools, like the Marine Quality Dashboard, for decision-makers across the entire spectrum – from the paddock to the reef. Enabling customised products such as sailing forecasts and tidal information to assist port and shipping operations. As well as enabling forward planning, reporting and emergency response preparation. Assisting tourism through the use of social and economic data relating to populations, tourism trends, and forecasts of sea state conditions and hazards such as jellyfish blooms.